Product prices and availability are accurate as of 2019-04-19 20:23:07 PDT and are subject to change. Any price and availability information displayed on http://www.amazon.com/ at the time of purchase will apply to the purchase of this product. 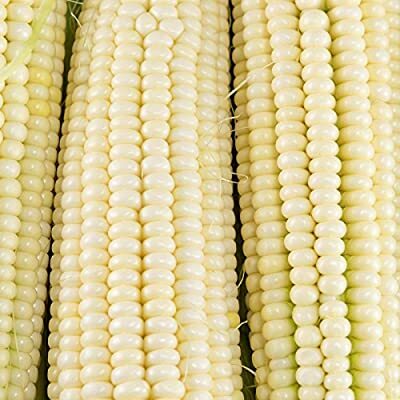 Corn (su) - Silver Queen Hybrid (treated). 88 days. The most popular white sweet corn in America because of its superb eating quality and wide range of adaptation. One of the few varieties consumers ask for by name. 8 inch ears average 14 to 16 rows. Approx. 150 seeds/oz.